Figure theatre artist Anne Klatt visited Myanmar for three weeks in November 2017 to create a performance with young puppeteers from Yangon and Mandalay. Here she talks about the experiences she made working with the students, the creative potential of cultural differences, the childlike openness the students showed towards the materials and the future of puppet theatre in Myanmar. What were your expectations for this workshop before you came to Myanmar? What I expect always depends on what I see as the purpose of my visit: Why am I coming, what is the aim of the project? I expected the young puppeteers to show interest, I expected an openness and a willingness to experiment and test new boundaries which might appear alien at first. I consider it my job to offer them a pool of possibilities for them to use as tools to be creative themselves. Using the methodology of the “creative process”, the so called RSVP-principal (Resources, Score, Valuaction, Performance), allows them to structure this creativity. Every seemingly chaotic idea must be tested, discarded, redeveloped – hence creativity is a highly disciplined process and requires structure. More often than not, the theatre people in the places I work are not familiar with improvisation or do not practice it. I consider the purpose of my work here in Myanmar to strengthen the artistic individual. For individual artists with sufficient strength to involve themselves in their society are indispensable in contemporary theatre. Art is like bread – here the more fitting metaphor might be a bowl of rice. Nonetheless, I try to arrive without harboring too many grand expectations, however hard this may be. I try to develop a heightened sensibility and perceptiveness for when I first meet the local theatre people without instantly culturally evaluating everything. Secondly, I need to collect resources from the beginning: what do the artists bring to the table? What interests them of the things I have to offer? Which artistic resources do they wish to use, and what kind of theatre do they even want to make? To what extent were your expectations met? Figuretheatre Artist Anne Klatt | © Anne Klatt Personally, I found this a very exhilarating and enriching experience, not just as a teacher, but for my own artistic work. At best a project like this is a win-win-situation, not a one-way-process. What I found especially touching was how open the puppeteers were, and how little they rejected from the outset. To take such complete and honest joy in testing and going beyond their own limits, this unbiased playfulness – that is a gift which at best children still possess. We frequently sat down together to take time to reflect on what we were doing. This was very important as it allowed me to learn about what they found interesting and why, and how they perceived what we were doing. I was completely taken by surprise by how productively and positively an approach as abstract as the material one was received. This was probably due to the material itself: They were thrilled about the parachute! I also noticed how the puppeteers had a very perceptive and sensory approach to the materials, understanding how an object can have a certain sound or several meanings. I would love to learn more about which frames of reference these players have than I could possibly understand in only 2-3 weeks. Further, I noticed how important it is in such a cross-cultural encounter to bear with each other without trying to erase all differences. By this I mean that the formula “everyone is the same” is nonsense when you are trying to create art together: We are all different! This creates valuable artistic friction. We are exchanging something which is new for the other. I do not wish the puppeteers to imitate what I am doing, nor the other way around, but I always wait for the intersection, the moment where things overlap: This is where something completely new can emerge! Where do you think this openness and wish to experiment comes from? I think that the students are used to their teacher always being right and someone with an unquestionable authority. This of course means that as an individual artist you are not allowed to ask questions, consequently not questioning your work, and thereby the art itself. On the other hand, by not questioning things at the onset creates a certain kind of openness. This holds something positive, as it means that you are open to and go along with everything the teacher suggests. Conversely, it equally means that they are not used to develop their art in a self-reflective manner. This is an important point, which, for starters, is not truly desired in the old tradition. However, in my opinion, these young artists have a strong need to do precisely this, to develop themselves artistically instead of simply repeating the old ways. Every kind of development involves a change, and naturally every change initially appears frightening to those who wish things to remain the same. You mention cultural differences. Was there any technique or method that you used, which appeared particularly strange to the students? The borders between human and puppet become blurry. | © Anne Klatt The first challenge, both to me and the students, was the encoded body. Every body is socially inscribed, it is a kind of text, and this text naturally says something about the society of which the body is a part of. There are certain No-Go’s. For instance, I learned that a man’s head should not touch the lower body of a woman. Such a taboo controls the dynamics of dance and contact improvisation within the group. For me there is always a lot of careful exploring involved – how much trust can I build with the students, how can I create a neutral space where they have the freedom to try everything without being held accountable for it? I try to remove their fears and social restrictions, I try to defuse taboos and to thereby start off on an artistic meta level. To me, it is important that everything must be possible from the start. The arising limitations are resources! Further, I realized that “figure theatre” and material theatre as we perceive it in Europe involves a completely different technical approach and way of working than the manipulative skills required with Myanmar marionettes. With the marionette, virtuosity implies the complete mastering of the puppet through a specified technical execution. Contrarily, virtuosity in material theatre means a deep engagement and exploration of the materials in order to breathe life into the individual objects. The technique has to be developed during this experimentation and is always original and distinctive. I find both approaches very exciting. And which elements struck you as different or new in your work with the students? A parachute becomes a snake. | © Anne Klatt I had never before experienced actors engaging with an illusion or an idea with such an intensity. 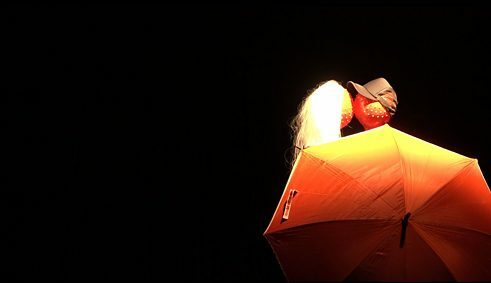 One particularly strong improvisation was the scene where the parachute is suddenly transformed into two fighting snakes. There was a very special atmosphere in the theatre that afternoon. I had the impression that the moment when the material takes on the shape of a creature, the actors would really perceive it as such. In Myanmar the snake is a very important iconographic element, and is a symbol of transformation. The snake also exists as an animal among the marionettes, and that day I felt a very strong connection to this. In general, ghosts and animals were subjects which repeatedly came up during the improvisations and were an important subject to the students. “Pieces of Mind” was a great success and was very well received by the audience, which consisted of both nationals and foreigners, adults and children. Everyone allowed themselves to be enchanted by the performance. Why do you think that is? I think this is precisely the appeal of material theatre; how we use simple, everyday materials to create poetic situations and images. A material, torn from its ordinary, daily context and which is familiar to everyone, suddenly takes on a poetic dimension, saying something about life, about us, about fears and desires, in a perfectly pure and humble way. I think it is this poetic ordinariness of material theatre which touches upon the profound layers of our human existence and allows it to cross genres and touch people beyond cultural differences. A spectator may identify more easily with a puppet as it is not bound by an individual concept, thus leaving room for interpretation. Often figures can say and do more than the human actors themselves. In the scene where the two human lovers approach each other using two figures of red balls was a beautiful demonstration of this. Exactly! Interestingly, it was no problem at all that the two balls kiss each other. On the other hand, it required much more work until the two actors dared to gaze into each others’ eyes without finding it too awkward. The simple language of figure theatre is always of great help in such situations. This is what makes it such an intercultural genre. One is not bound by language and can always return to the puppet as a substitute during challenging situations. In the beginning you mentioned that the puppeteers must reflect on the position of their art in society. In your opinion, what is the future role of puppeteers in Myanmar? This is a very difficult question and I can only assume what it might develop into. I think an important and not necessarily easy process which needs to take place is a kind of emancipation from the old masters, from this firm traditional marionette theatre, which still maintains a very high profile here in Myanmar. This is twofold: On the one hand, it is of course good that Myanmar marionette theatre holds such a great value. This should certainly not be tampered with. On the other hand, however, there needs to be a transfer, an understanding that you cannot remain frozen in the old traditions, otherwise these old art forms will one day be obsolete. 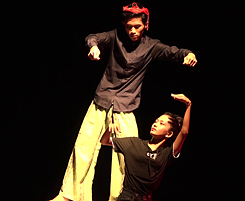 As Myanmar society is increasingly confronted with the globalized world, it is equally important for the marionette players to engage with the new developments within figure theatre internationally. And I wish for them to be an active part of this, to be involved in shaping and reshaping this art, and to develop their own artistic identities and values. This may sound a bit harsh, but I believe that some of the young artists will need to leave the country for a while and undergo a productive cultural shock. To expand their horizon, gain new experiences and get to know the reality of the lives of other puppeteers. You need this as an artist. Furthermore, building a network and having links abroad is vital in order to gain future support and hired performances. In Europe the figure theatre has experienced a bit of a rebirth these past few years. Do you think a similar renaissance can take place in Myanmar? 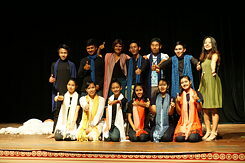 The students after a successful performance. 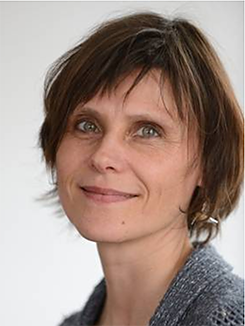 | © Anne Klatt Absolutely, and I am also certain that the Myanmar traditional theatre would be well received in Germany and that the players’ virtuosity would be greatly appreciated. At the same time it is important to be aware that your artistry cannot depend on economic success – you will probably struggle to earn money at first. As artists, we all need to find a compromise between freedom and economic success. This is no different in Europe than it is here. I think it is good for Myanmar to have strong artists. Your own art, your own treasure which you can always rely on is something everyone needs to discover and honor for themselves. It is the artist’s place to remain free, and constantly hold up a critical mirror to society and its politics and to not turn into a “marionette” of the powerful. In 2018 you will once again get together with the students to continue to refine “Pieces of Mind”, to reflect on and revisit the concepts and methods you explored in your first workshop. Additionally, the students will develop two new pieces of their own, using their choice of concept and material. Exactly! These are really two different projects: To replay “Pieces of Mind” and for them to develop two new pieces – let’s call them “theatrical miniatures” – by themselves, for which I will be more of an artistic supervisor and provide guidance and support. The aim of this is for them to become more independent. The Myanmar puppeteers are so incredibly perceptive of shapes, colours, poetry, metaphors and nuances, for things which cannot be easily defined or articulated. With the right amount of discipline and skill, I think they have a great future in front of them. Puppet theatre is an ancient Burmese art form. While it flourished in the royal courts centuries ago, it has now lost much of its initial meaning in society. An overview of the complex history of marionette theatre in Myanmar.